So here is the first in my New York Eats series, and I’m diving into the splendiferous eating scene of the East Village. 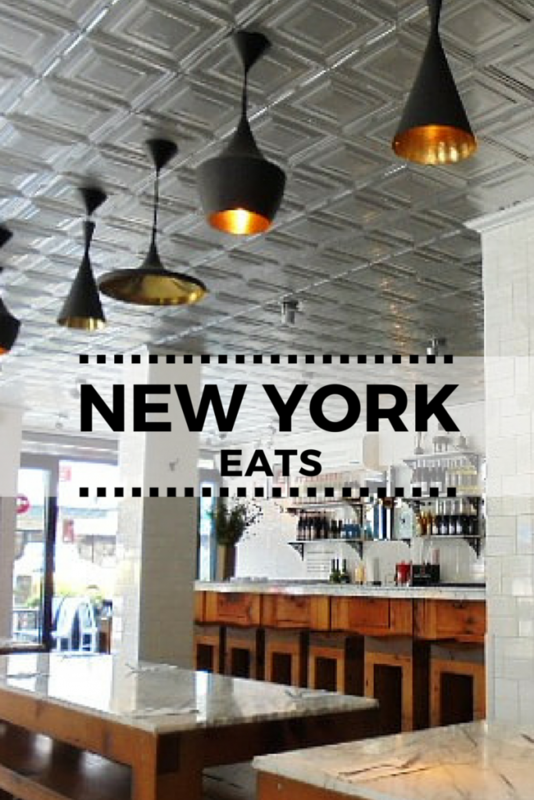 There is a huge variety of cuisines in the East Village, and establishments range from high-end to budget and everything in-between. Breakfast and brunch cafes demand a post unto themselves. Here are a few of our fave dinner and lunch spots, starting with a couple straddling either side of east 7th street. 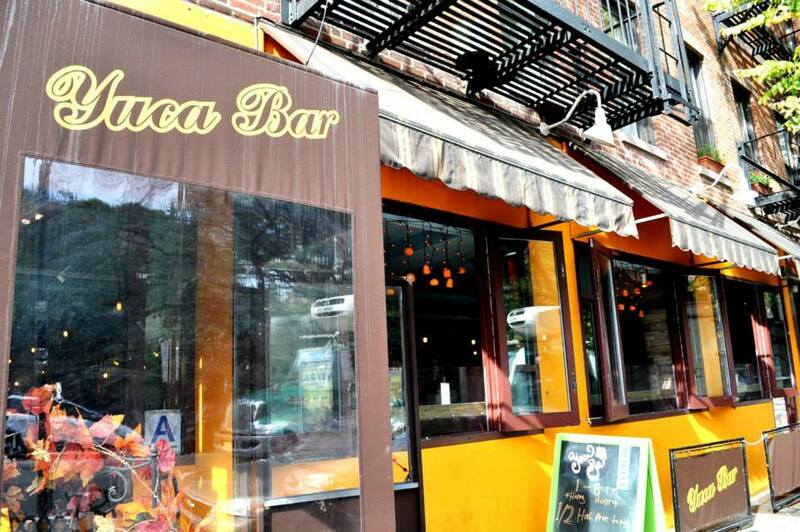 Yuca Bar is in a fabulous location, right opposite Tompkins Square Park and up the street from Big Gay Ice Cream. So any time day or night is great for people watching. We like to go in the evenings, get a table out on the sidewalk and watch the East Villagers go by. The last time I was there, Gala Darling walked past, chatting on her phone! (I didn’t want to intrude, so merely tweeted to her later). There is a brunch menu, complete with latin twist on old classics, such as “Tostada Colada” – French toast with seasonal fruit and maple syrup. There is also a large range of meals for lunch or dinner, including tapas, paella, steak, chicken and pulled pork, but we go there for the seafood. 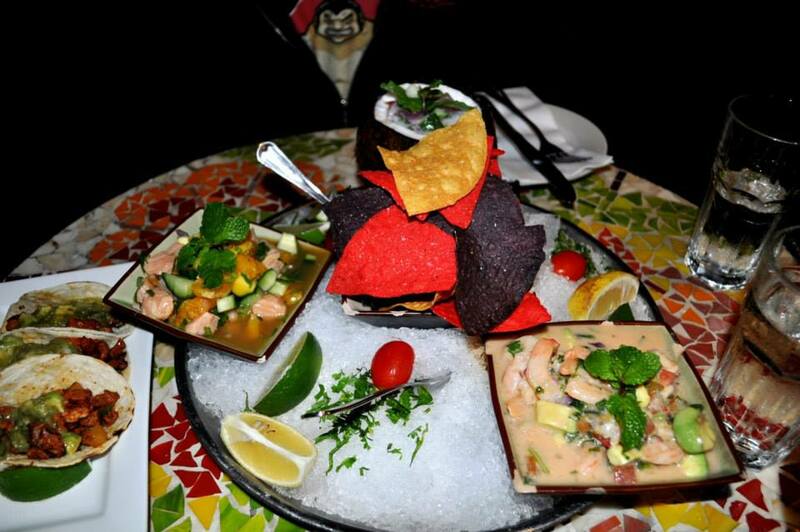 Or more specifically, Ceviche. Just look. I recommend you get the tasting plate for $30 where you can try 3 of them (we decided to forgo the shrimp). 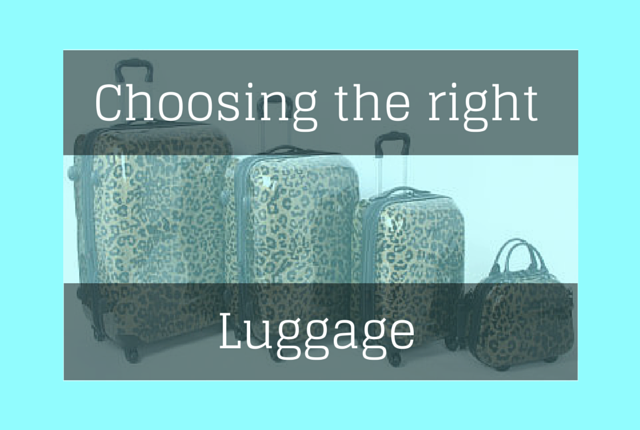 All are delicious, and it’s hard to pick a fave – certainly my husband and I couldn’t agree. 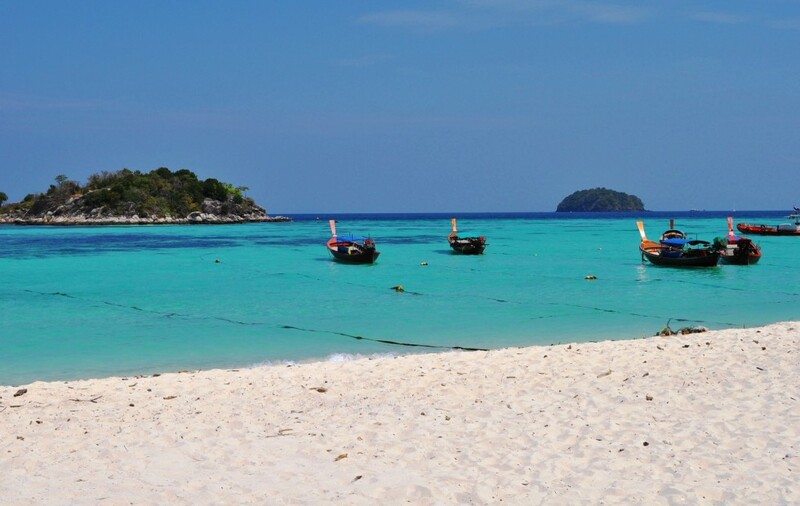 The fish is super-fresh, the marinades zingy and zestful. The mango dressing was quite sweet but more-ish, the coco-lemongrass refreshing and the classic lime-lemon a tangy tastebud delight. 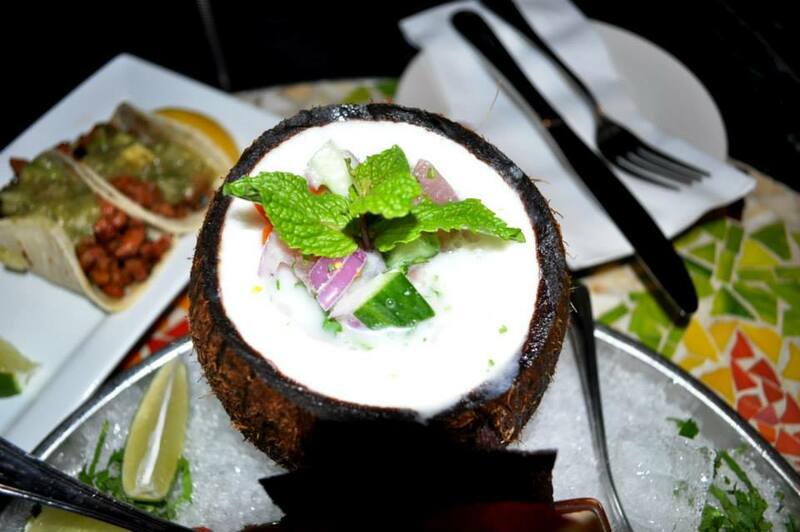 Gorgeously presented in small square bowls on a bed of ice – and one in a coconut shell! – they come with a beautifully coloured mix of corn chips – yellow, red and purple/black. 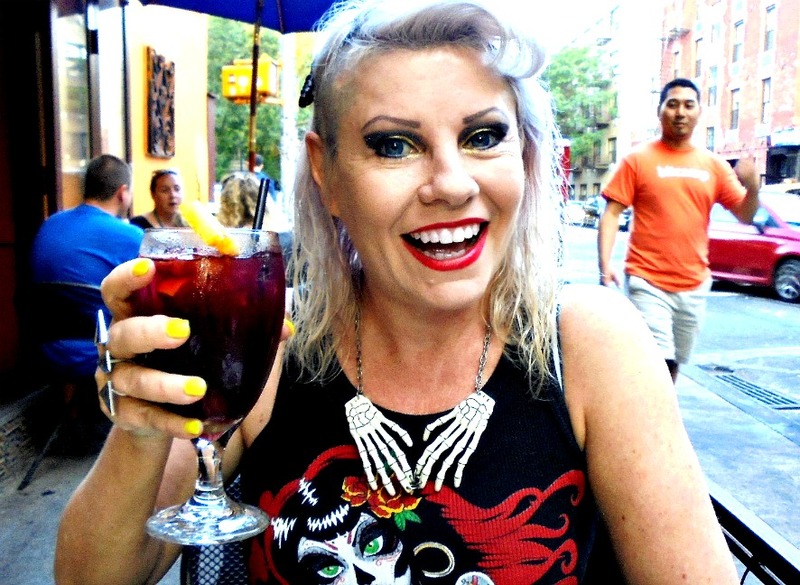 The Sangria is also delicious, sweet, but packs a punch & will have you giggling in no time. Both alcohol and fruit are liberally dispensed – get the jug if you dare! Apparently there is half-price tapas on Tuesdays, so a great time to try it. Be aware that it’s very popular, especially at night, so try to go early in the evening, or just in 2’s or 3’s, or you’ll be waiting a while to be seated. 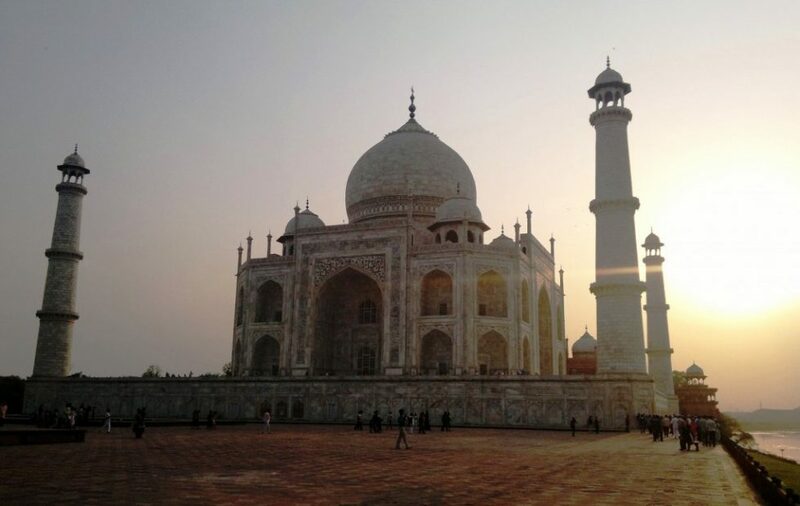 Both times we visited as a couple, we got a table outside straight away. Anyway, highly recommended! We will certainly make a point to go back there in future. On the other side of the street, we have…. 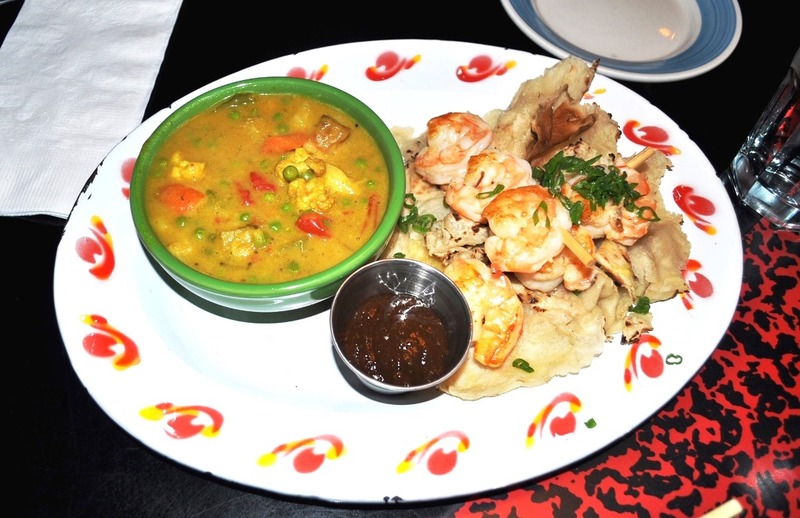 Miss Lily’s is, as they state “a Caribbean oasis in the middle of downtown manhattan”. 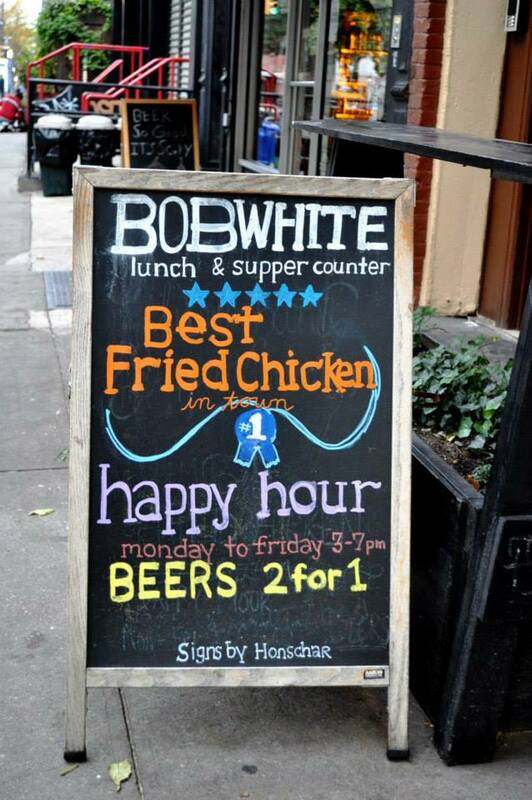 Well, the Houston St Soho joint is. 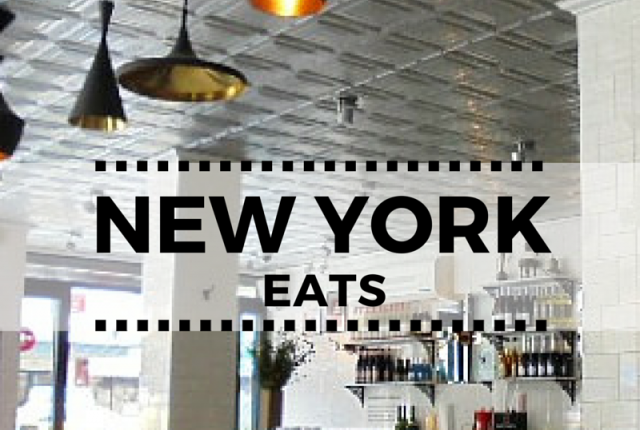 We dined at Miss Lily’s 7a in the East Village, just a stone’s throw from Tompkins Square Park. Colourful, exuberant, borderline kitsch, this place is a throwback to simpler times when there was more counter-culture in the East Village. While there is a nod to 50’s/60’s diner culture (remember formica tables anyone? 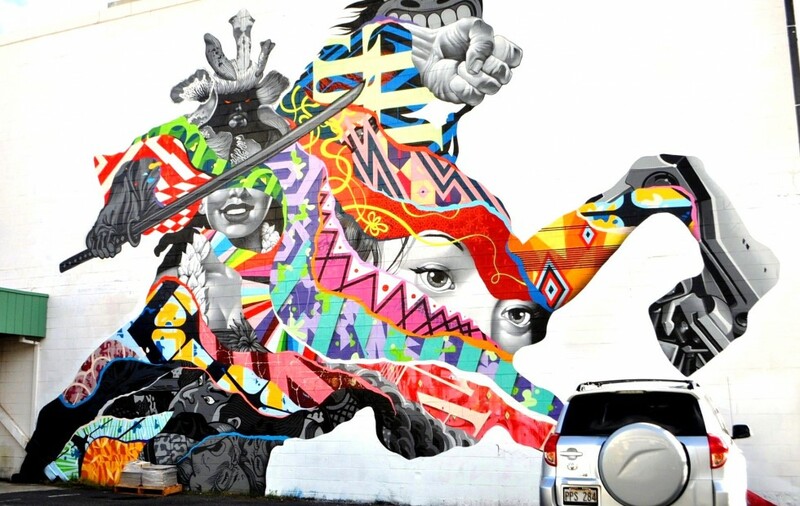 ), there are also 70’s touches in the decor, as well as 80’s in the clashing colours & abstract patterns. Chef Bradford Thompson married into a West Indian family, the mother of which ran a jerk place in Brooklyn years ago, and whose sauce he has recreated. 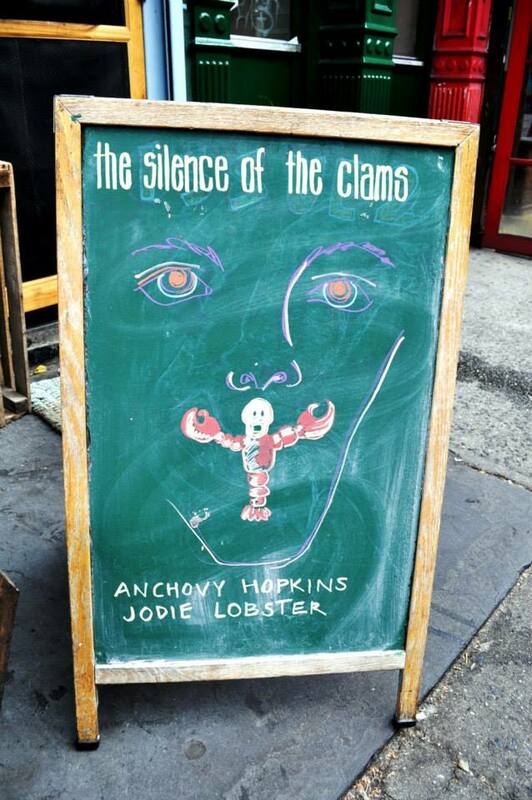 It’s for sale in all the restaurants. 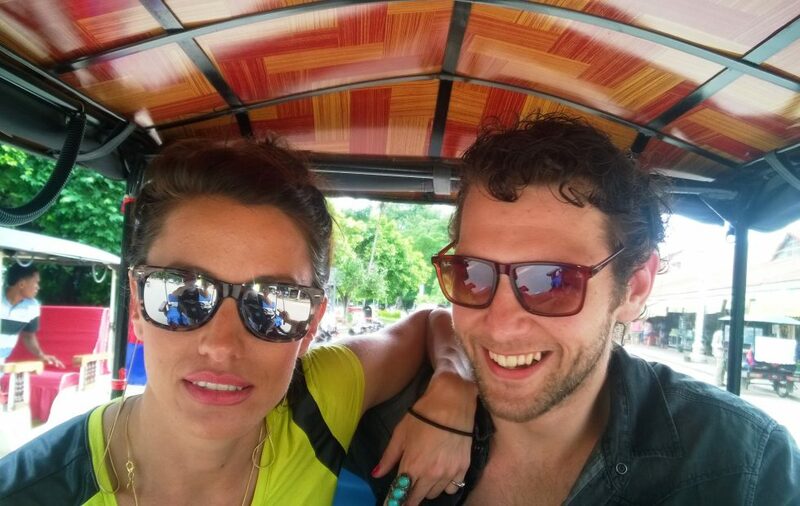 The prawns were tender, the curry yummy and quite mild, and the vibrant chutney enlivened the whole thing. We decided to have several sides. 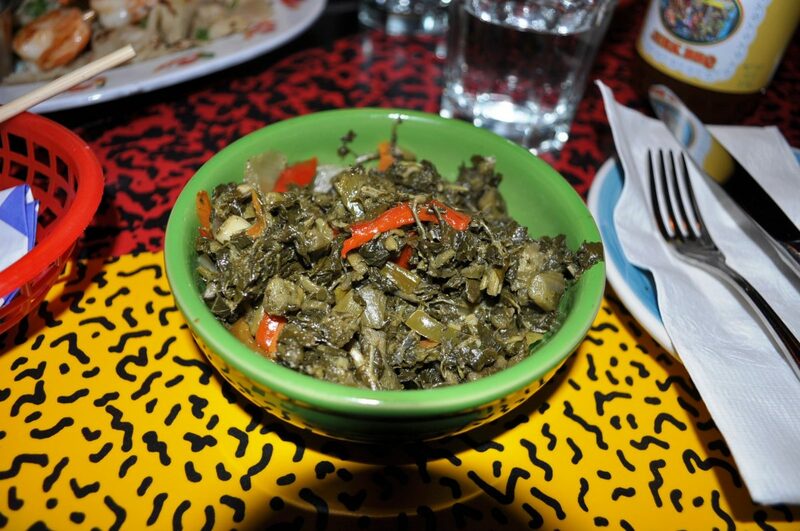 One was the callaloo (like spinach), which was savoury & delicious. 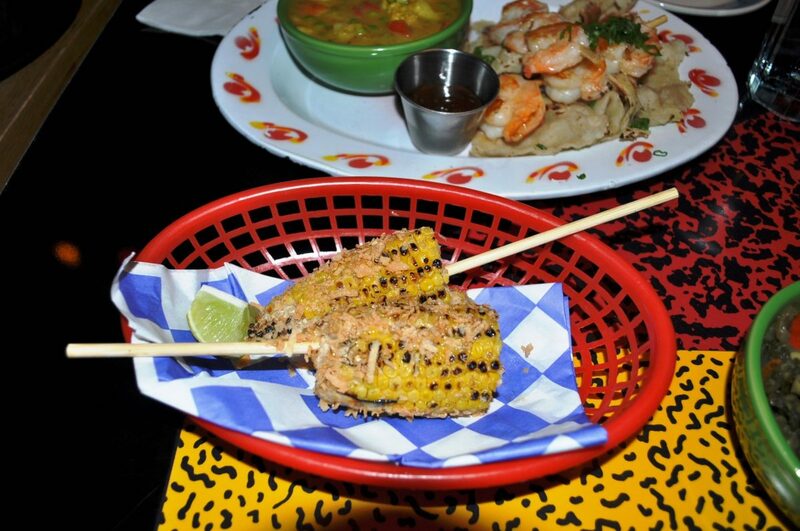 The jerk corn – grilled corn cob with toasted coconut & jerk mayo, just has to be tried. It doesn’t look like much, but as their sign says, they may well do the best fried chicken in town (we didn’t try the chicken at Miss Lily’s). 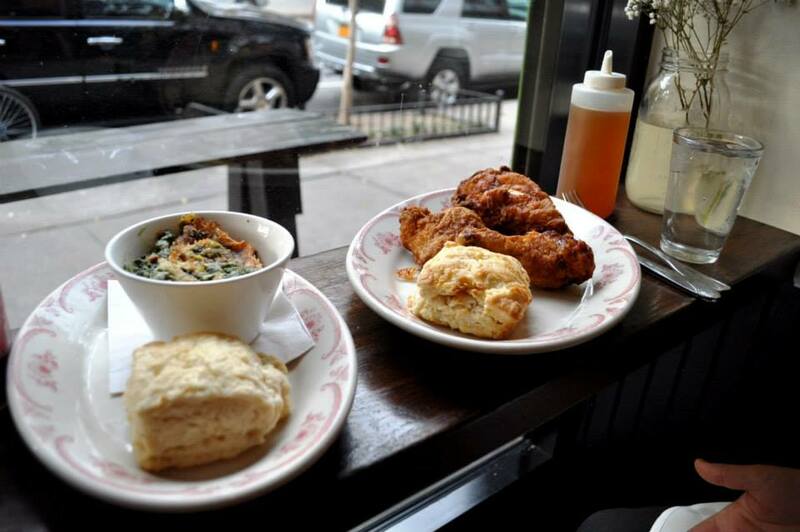 Yep, it’s southern comfort food at its best. Another great spot to people watch, Avenue C is a little more out of the way (aka further from Tompkins Square Park and St Marks Place), yet some trendy bars are also to be had nearby: Edi & the Wolf and The Third Man, to name just two. It is simple in design and easy on the budget; what’s not to like? But onto the food. The chicken is marinated in sweet tea and left to brine overnight before being floured and coated with mystery seasonings. It is deftly placed in the pressure fryer, and shortly thereafter delievered to you steaming hot. The skin was crispy as all get out, the flesh tender and salty-sweet. Nestled alonside it was a plush buttermilk biscuit, golden on top and moist on the inside. We had the collard greens as a side…but it was the sausage gravy we ordered that just made the dish sing. We didn’t see it on the menu but asked for it as a favour – and boy, were we glad we did! 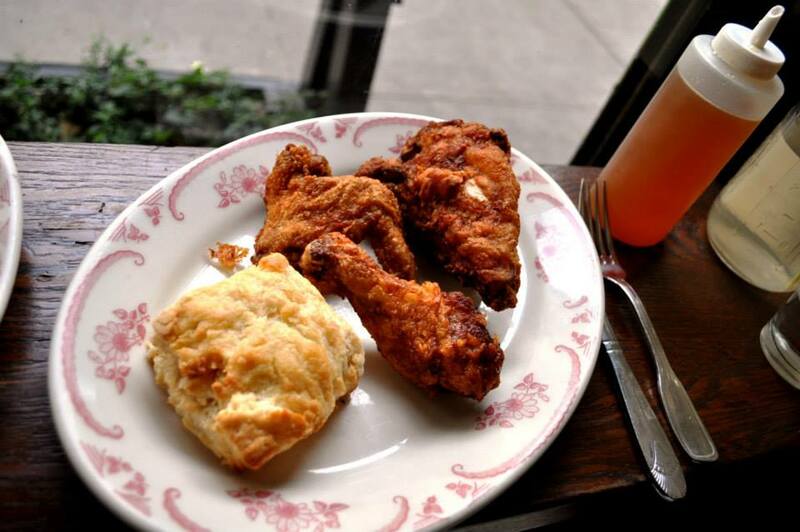 The owner Keedick Coulter is committed to using only free-range birds and grass-fed, heritage pork, which apparently comes from the same Virginian farm that services Momofuku. We went quite early, around 5pm or so, and there were few others dining there. 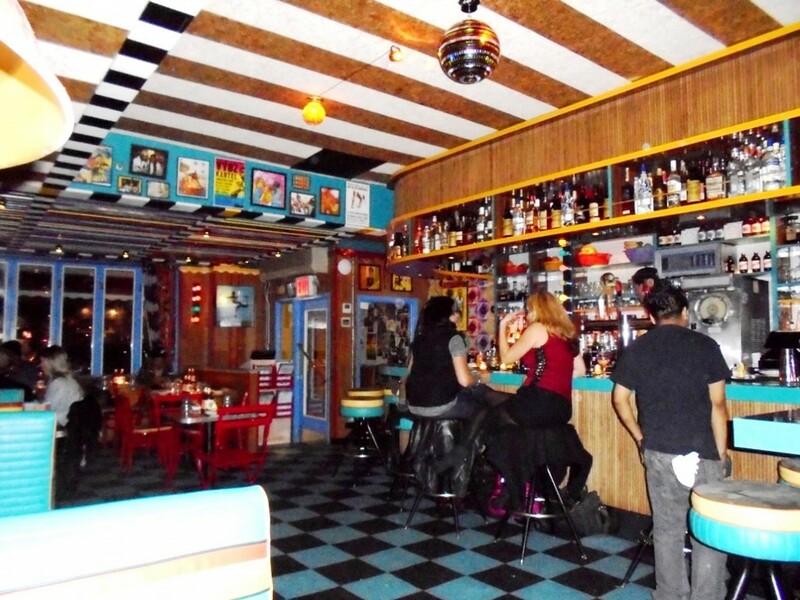 It has a great laidback vibe and would be great to sink a few beers or other bevvies during happy hour. Again – recommended!! While on the subject of places with nifty billboard to display their wares…how about this one? Just look at that!!! Eh???? Funny or what? 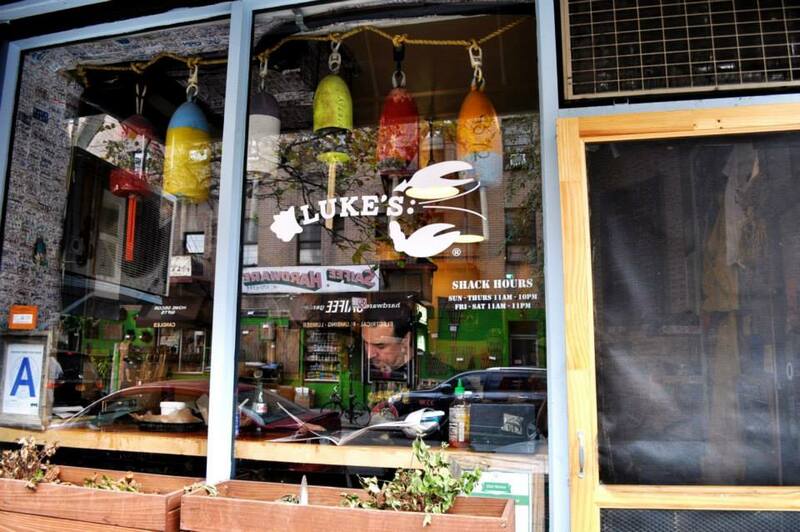 Luke’s Lobster is a nautical-themed Maine-style lobster shack, for those of us who haven’t got to that part of the US yet. 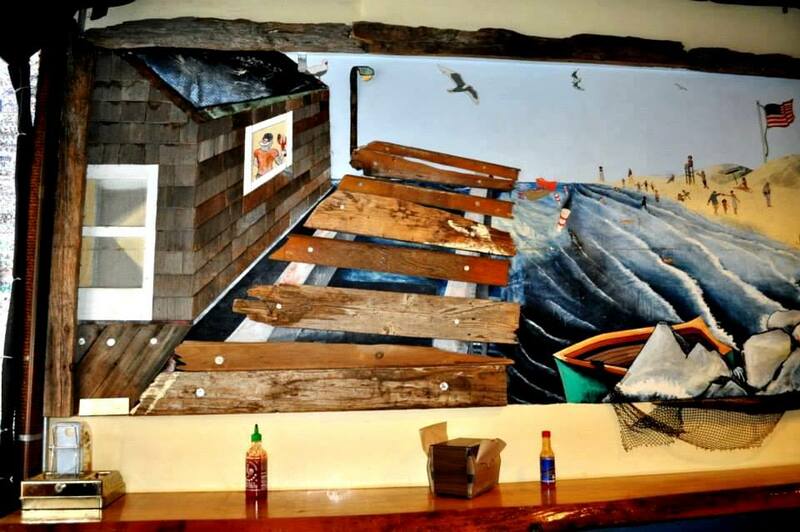 There are actual nets, weathered boards…and a few kitsch bits and pieces to look at while your order is being cooked. 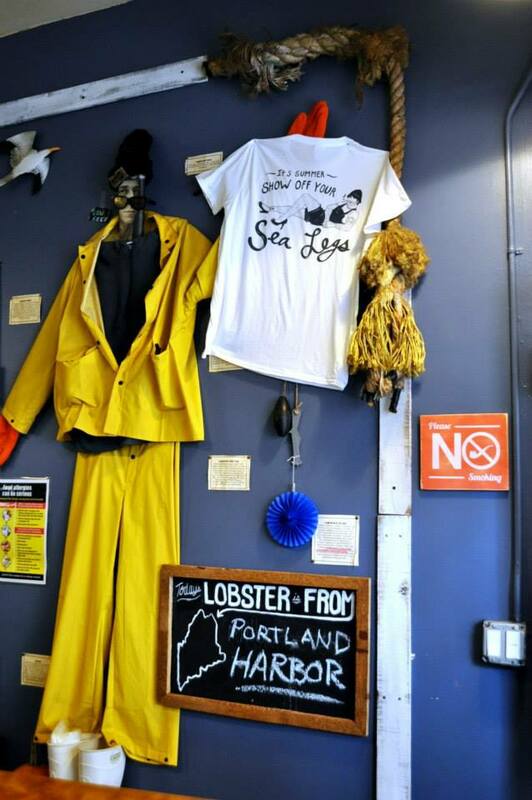 Like: a 3d seagull on the wall, a simulated fisherman in his high viz gear…oh, and the sign that tells you the lobster comes from Portland Harbour. Good to know. 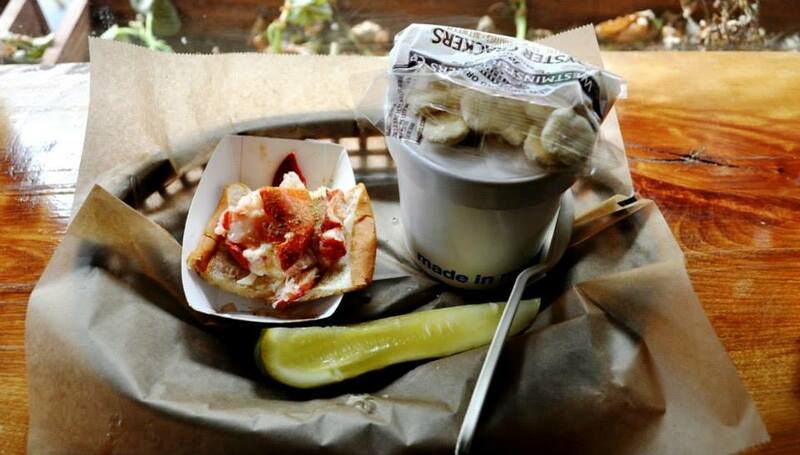 We ordered the lobster roll, which was nice enough…although had I been there in Winter I’d have opted for the Lobster Grilled Cheese – yum! 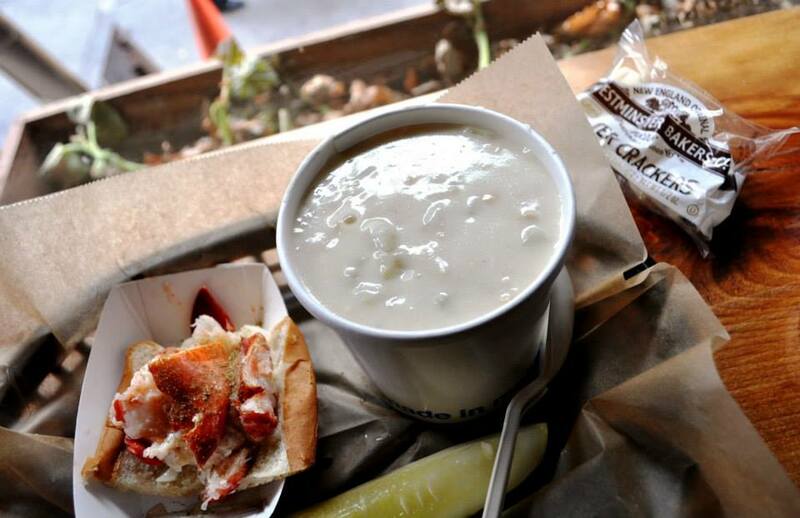 But the REAL star of the show for us was the New England Clam Chowder! WHAT a revelation! I mean, ok, I’ve had yummy ones in hoity-toity restaurants, and even at Coney Island, but for a little hole-in-the-wall place, this was DELISH!! I got the half-sandwich with soup actually, nicely accompanied by large pickle. But how creamy, rich and lovely was the steaming broth when I opened the lid? Just do yourself a favour and go. Now, lest you think I’m only bringing you comfort and soul food options with kitsch novelty features, how about a nice white napkin kinda joint? 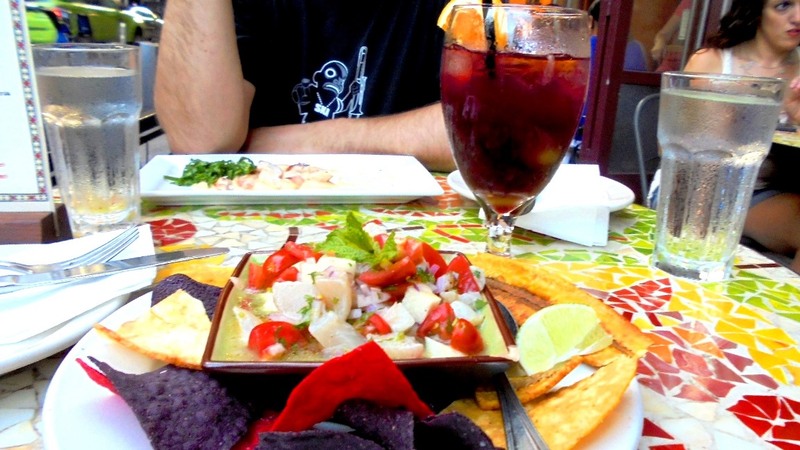 Paprika is also near Tompkins Square Park, in a very happening spot on St Marks Place surrounded by trendy bars. Almost next door is St Dymphna’s, and across the road is PDT/Crif Dogs. I’ll cut to the chase here: they do great pasta. I was tempted to get the lobster ravioli, the mac cheese with lobster (!!!) or the gnocchi with wild mushrooms and cream, but had to opt for the Pappardelle con Coda alla Vaccinara – homemade pappardelle with braised oxtail ragu. 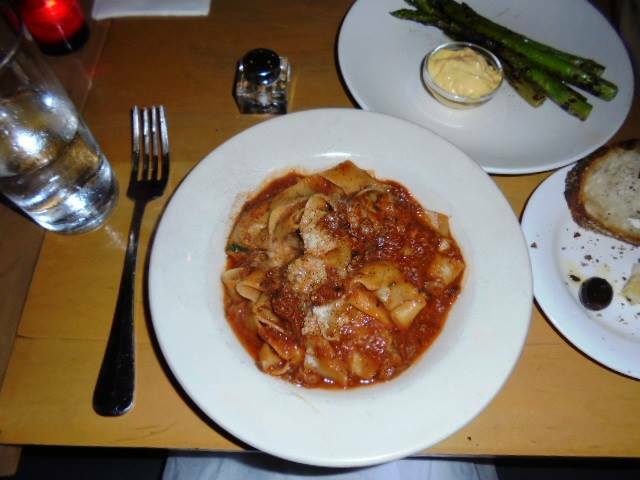 You can’t beat a ragout – slow cooked, falling apart meat is soo my thing. Oh, and the side was exquisite: grilled asparagus with a zabaglione sauce – soooo rich and yet light. 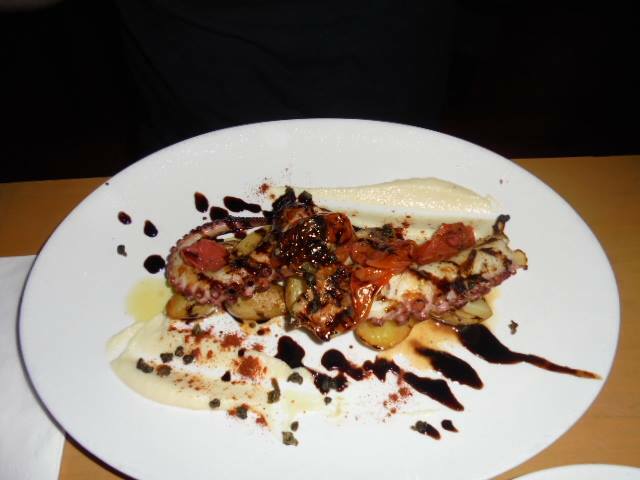 The other half had the Polipo alla Griglia – grilled octopus with fingers potatoes, fried capers, roasted cherry tomatoes, celery root puree, paprika, and balsamic reduction. We’re running out of space here, so I shall leave a few for another post. Coming up I have THREE in the same small street! Last year I stayed in an Air BnB on east 5th street, so I had ample time to check out the tasty delights of GG (modern fine dining), Iron Burger (burgers) and Minca (Ramen). What the hell, I’ll throw in a few others nearby while I’m there. Have you stayed in the East Village? 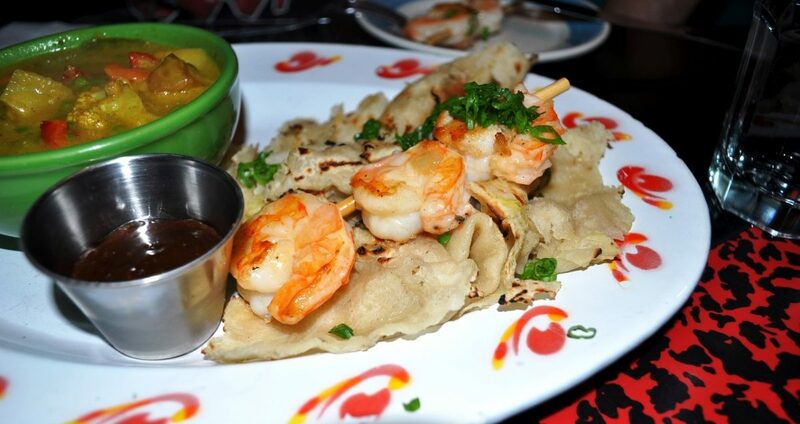 Where did you eat, and what places would you definitely recommend?